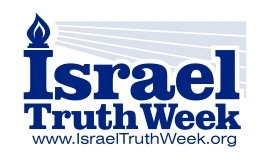 Mark Vandermaas is a Canadian civil rights advocate-educator who is the founder of the Caledonia Victims Project and Israel Truth Week (IsraelTruthWeek.org). His parents suffered under Nazi occupation in Holland where they watched Jews taken away to be murdered, and his father escaped from a Nazi work camp. 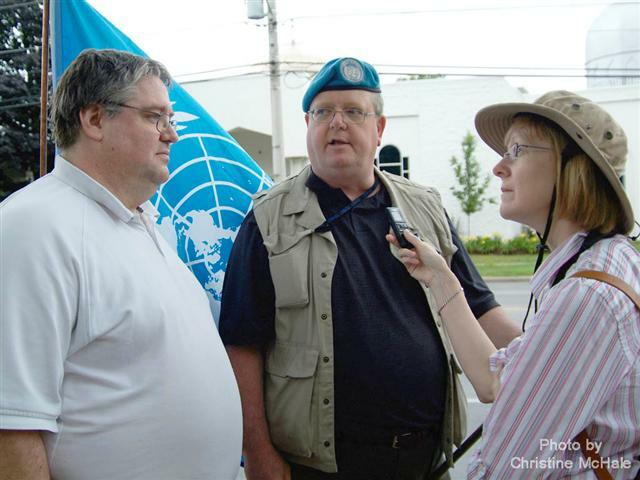 He earned the United Nations peacekeeping medal for his 1978 tour of duty in the Middle East where he saw, firsthand, the remnants of wars begun by Arab attempts to exterminate the Jewish state. Israel’s ambulance service, Magen David Adom. 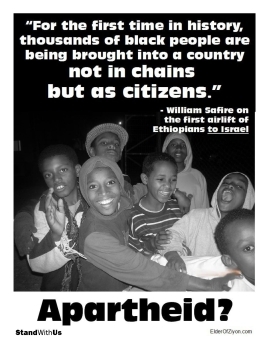 He is the author of the monograph, Rules For Freedom Activists: Israel Advocacy Edition, a teaching tool he uses when speaking to pro-Israel activists to explain the power of applying Dr. Martin Luther King Jr.’s lessons against today’s anti-Israel fabrications by the radical, anti-capitalist Left. In 2006, Mark left his career as a real estate broker to become a full-time, volunteer, activist because he felt a strong sense of duty to speak out against racially-based policing and rule of law failures during the lawlessness of the Canadian Caledonia crisis. His work in confronting Ontario government appeasement of violent militants who were terrorizing innocent residents with the aid of radical anti-capitalists and anti-Israel groups over fictitious land claims, and in leading the Ipperwash Papers Project was described in Gary McHale’s 2013 book Victory In The No-Go Zone: Winning The Fight Against Two-Tier Policing. His arrest with McHale while trying to raise a Canadian flag across from the militant’s police-protected ‘no-go zone’ was also described in the 2010 bestselling book by award-winning Canadian journalist Christie Blatchford, HELPLESS: Caledonia’s Nightmare of Fear and Anarchy, And How The Law Failed All of Us (see National Post excerpt #2). 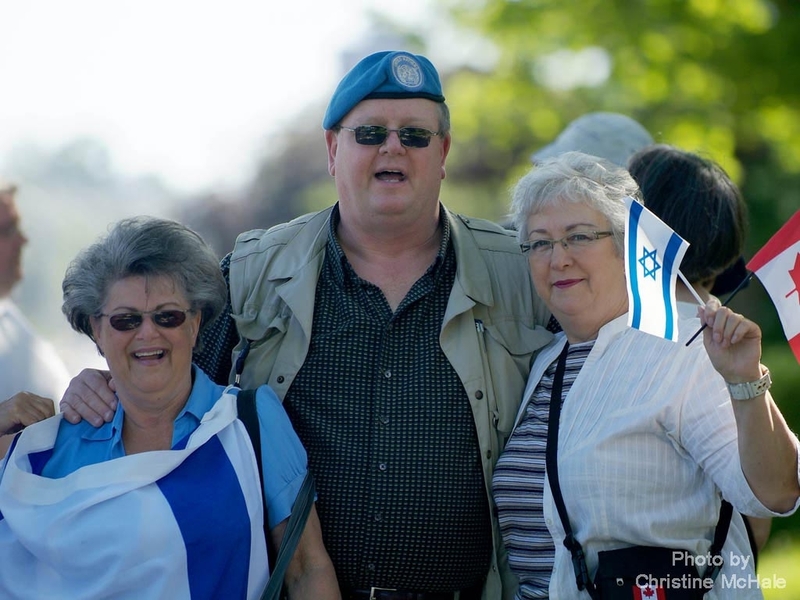 During the summer of 2011, Mark conducted a 26-day vigil at a London, Ontario mosque in 2011 to protest against the fact that it had raised money for, and sent a ‘delegate’ on, the ‘Canadian Boat to Gaza’ which then attempted (unsuccessfully) to break the Israeli blockade of weapons to the Hamas terror organization. His vigil lasted 26 days. 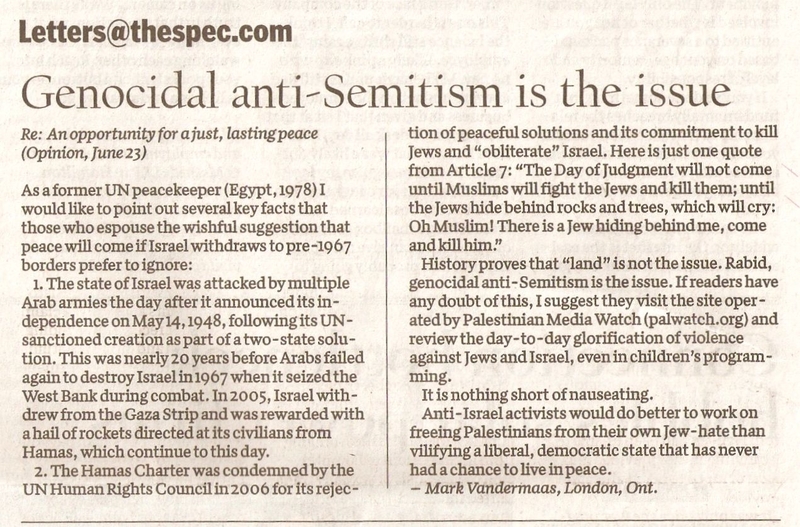 His 2013 counter-protest against anti-Israel groups attempting to intimidate a Canadian retailer from carrying Israeli-made Sodastream products attracted Jews, Christians, Muslims and Hindus who stood in the rain for hours to ensure that the true side of the story was told by media..
Mark received one of the greatest honours of his life when, in recognition of his contribution to the success of the 2012 National Holocaust Remembrance Day ceremony, the Canadian Society for Yad Vashem called him to the stage as part of the Zachor Coalition to light a candle in Ottawa, Ontario. 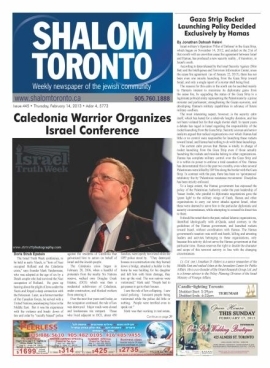 He was unofficially named an ‘Honorary Jew’ in 2014 at his third annual Israel Truth Week conference in Toronto by Goldi Steiner, co-founder of Canadians for Israel’s Legal Rights, publisher of The Jewish People’s Rights To The Land Of Israel. In 2014, Mark started the ‘Truth Before Solutions Campaign’ to draw attention to what he calls the Jewish ‘land title deed’ from the ‘Original Two-State Solution’: the 1922 League of Nations Mandate For Palestine. 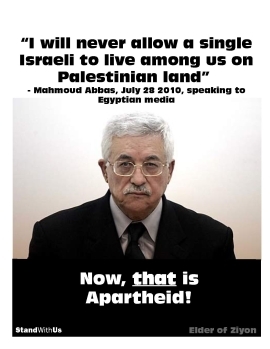 The campaign seeks a moratorium on Middle East peace ‘negotiations’ and land give-aways until Israelis have been provided meaningful education about the Mandate, and the world community acknowledges that Jews are ‘owners, not occupiers’ of Palestine. Mark lives in London, Ontario, Canada with his wife, Debbie, without whom his work would not be possible. 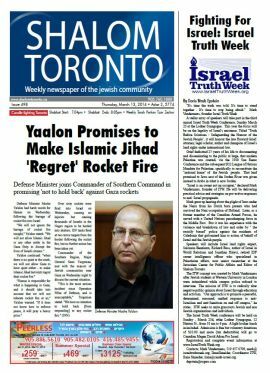 He can be reached at 519.457.0709, mark@israeltruthweek.org . 130921 Israel Truth Week Sodastream vigil, Canadian Tire, Hamilton: David Freeman-Mark Vandermaas-Salomon Benzimra-Vardit Feldman-Steve Scheffer.